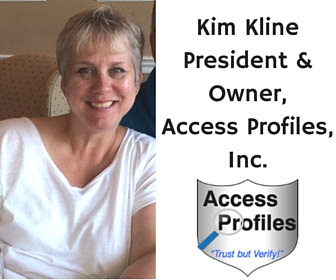 Access Profiles, Inc.: The Challenges and Rewards of Running a Business from Home! 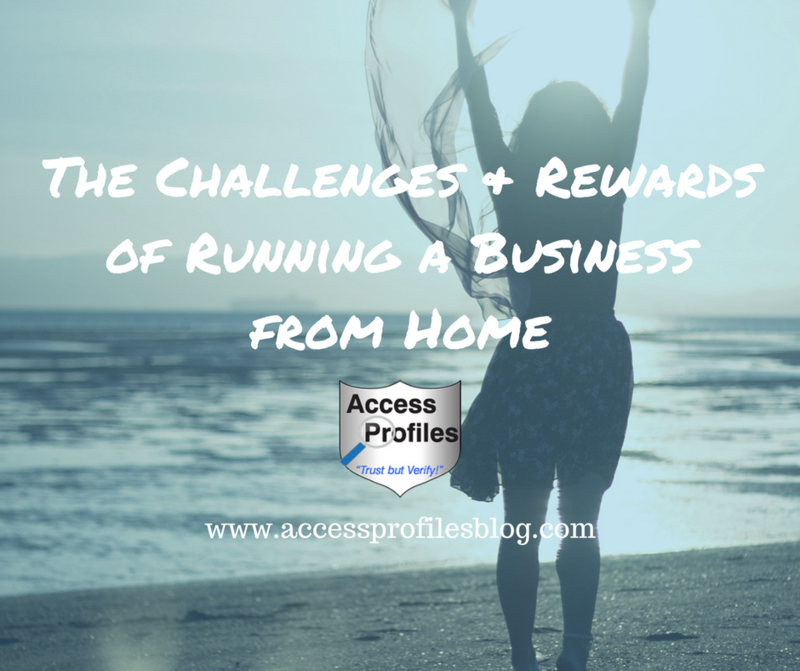 The Challenges and Rewards of Running a Business from Home! running my own "home-based" business. Issues like isolation, work/life balance, and professional perception are heightened for the home-based business owner. To research this piece, I asked my network of home business owners for their opinions on the challenges and rewards they face. I found similar threads among the many answers I received. The feeling that you are “always at work” is a hard one to break when you are constantly “at the office”. I have learned that, barring a special project or rush job, it is important for me to simply stop. If I was working from a traditional office I would, so I need to treat my home office the same way. No one can maintain their health and sanity without down time. 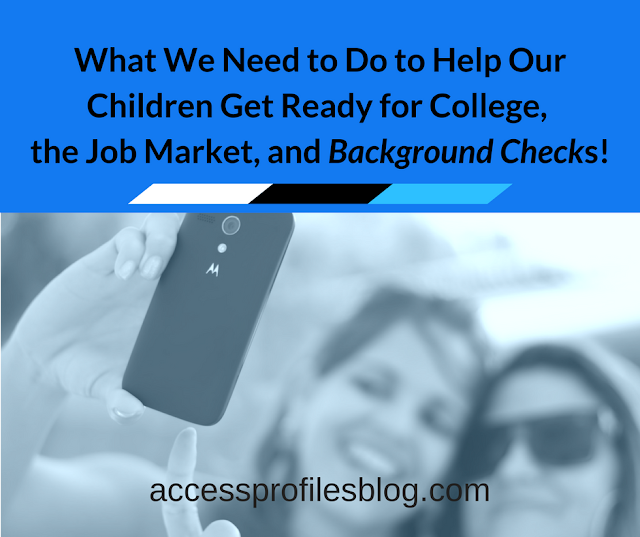 Not being taken professionally without a traditional office can be a concern. When I started my business in 1996, there was definitely a prejudice against home-based businesses. However, I believe this is changing. As more and more small businesses are being run from a home office, and much of that business is done online, the need for a “brick and mortar” office is lessening. Stop yourself from taking personal calls or answering that email from a friend - do exactly what you would do if you were “at the office”. “It takes tremendous discipline and focus to manage business and home life. It is too easy and convenient to go golfing on a nice day. Sit outside and enjoy the weather.” Anthony Mannella, Director of Compliance and Enforcement, CAIRSS Corp. Many expressed that not being able to run down the hall to bounce ideas off a co-worker or get support are definite drawbacks. whether in “real life” or online, is a great help. Reach out to local business groups. to a whole new support system. What it Takes to Run a Business from Home! "Tweet This"
The number one perk cited was flexibility. The ability to set your own hours, work in “less than professional attire”, and run your business “your way” cannot be paralleled. cost and time saving benefits. is definitely a big undertaking. It comes with great responsibility and commitment. However, I believe the rewards outweigh the challenges. 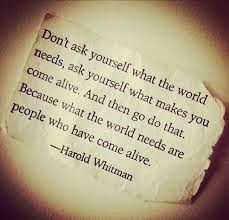 what, when, how, and why you do what you do is exciting. and I, for one, cherish that! or get Your Small Biz going, API can Help! For more Tips, Subscribe to our blog. focused on Small Business ~ and No Spam! What our Clients have to Say too! 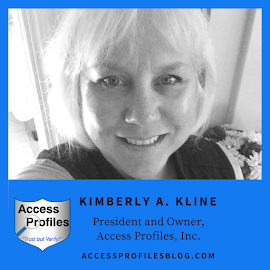 What a great article, Kim! This pretty well sums up what it's like to work from home. This is good information for anyone thinking about starting their own home-based business. Also, thanks for the mention! I got so many good quotes and great information from people that it was hard to cut this article down! I am glad you enjoyed it, and I am also happy to include the quote from you and the other people I featured!